In New Jersey, when a person is facing the legal ramifications from a charge of the traffic offense of driving while intoxicated, there are incidents that occur that will also lead to personal lawsuits against the driver. With a DWI, the arrest carries with it significant penalties that will affect a person’s driving privileges, cost them money in fines and surcharges, and possibly result in jail time. If there is an accident in which others are injured, the charges will not only be increased, but there is an overwhelming possibility that the injured party or the family of those who were killed with file a personal lawsuit against the alleged drunk driver. Even if the damage is to property and there were no injuries, there is still a good chance that the owner of the property will file a lawsuit to recover compensation for what was damaged. When a person is stopped on a conventional DWI stop in which there wasn’t an accident, the process is rather straightforward. The officer will witness the vehicle committing an act that is grounds to make a stop and investigate. That could be running a red light, weaving in and out of traffic or driving too slowly. There are many reasons for an officer to make a traffic stop on suspicion of DWI. Once the stop is made, the officer will interact with the driver to look for signals of DWI such as slurring of words, the smell of alcohol or bloodshot eyes. If there is still a possibility of a DWI, the driver will be asked to submit to field sobriety tests such as the Walk and Turn test, the Horizontal Gaze Nystagmus test and the One-Leg Stand test. Next will come the breath test to determine the blood alcohol content. If the driver is age 21 or over and registers a BAC of 0.08% or above, there will be an arrest for DWI. The penalties for this level of DWI are harsh, but not as harsh as they are if there is an accident with injuries. The driver with a BAC of 0.08% and below 0.10% will be fined between $250 and $400. There will be a three month suspension of driving privileges. An annual surcharge of $1,000 will be assessed for three years. $100 each will go to the drunk driving fund and the Alcohol Education and Rehabilitation Fund (AERF). $75 will go to the Neighborhood Services Fund. $230 will go to the Intoxicated Driver Resource Center (IDRC). There can also be up to 30 days in jail. If, however, there is an accident while a DWI is being committed, the driver will not only face the DWI penalties, but they can be increased from a traffic offense to an indictable offense. Facing a felony charge carries with it much harsher penalties than a simple traffic violation. With a felony DWI, the case is likely to be moved from a municipal court to a county court and the prosecutor will add many other charges to the list that the driver will have to deal with. It will depend on the circumstances whether the case will continue to be heard at the county level or returned to the municipal court. County charges are much more substantial than municipal charges. If there was an injury while the driver was allegedly driving drunk, assault by auto is a possibility. With a serious bodily injury, it is a third degree criminal offense. If there were bodily injuries, it is a fourth degree criminal offense. With a conviction on third degree charges, there can be as much as five years in jail. A fourth degree conviction can lead to 18 months in jail. If the infraction results in serious injury or happens in a school zone, it will be a second degree criminal offense. A conviction will result in up to ten years in jail. If there were no injuries, then the charges will likely stay in the municipal court. Whenever there is an automobile accident with injuries, there will often be a personal injury lawsuit. 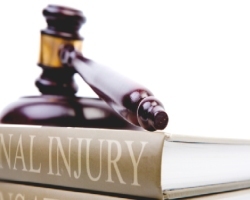 Depending on the level of injuries that were suffered, the medical expenses, loss of work, need for extended care and even death, the long-term costs of a personal injury lawsuit can affect a person’s life for years if not forever. When a family loses a loved one in a DWI crash, they might find themselves without the breadwinner in the household or will have lost a stay-at-home parent. In such an event, they will want to receive compensation from the party they deem responsible. 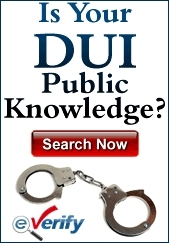 If it was a driver who is alleged to have been driving drunk, the lawsuit can bankrupt them. Regardless of the circumstances surrounding a DWI that ends with injuries and a personal injury lawsuit, the alleged drunk driver must have a viable legal defense. When there is a traffic stop, the officer must follow certain rules such as having a justifiable reason to have made the stop and had to have conducted the field sobriety tests in a fair manner. When the driver is given a breath test, the officer is required to follow various protocols such as observing the driver for 20 uninterrupted minutes before giving the test to avoid the driver doing anything – chewing gum, smoking a cigarette, regurgitating – to compromise the accuracy of the test. The officer must be certified to give the breath test and the machine must be properly calibrated. Whether there was an accident or not, if the driver was not given the tests in a manner that is consistent with his or her legal rights, the evidence of DWI could be determined as inadmissible and everything that happened after that could be called into question. It’s imperative, in a DWI case with or without injuries, that there be a full investigation as to what happened for the driver to protect his or her rights with a traffic offense, criminal charges and a personal injury lawsuit. DWI can lead to some very serious penalties. There are many different factors that will determine how many years you may lose your driving privileges, or large amounts in fines and even jail time. Even if the judge is easy on you, you can still lose thousands when you need to buy special car insurance for people convicted of DUIs & DWIs. Find out just what you are facing so you better understand the high stakes of your legal battle and the options available to you.